The complexity of the South Asian terrain lies in the fact that though politically all eight countries (Afghanistan, Bangladesh, Bhutan, India, Maldives, Nepal, Pakistan and Sri Lanka) have their independent territories, yet much of the natural resources are shared by two or more political boundaries. The complexity further aggravates in relation to flow resources like rivers where demarcation is difficult. Numerous water diversion schemes in transboundary South Asian river basins manifest catastrophic implications of reductionist hydroengineering paradigms on ecology and people. There has been a worldwide paradigm shift in water research from both natural and social sciences perspectives and the convergence between the two. While natural sciences have moved from an emphasis on different components of hydrology (surface water, groundwater, saline water, fresh water, etc.) as separate entities towards a composite hydrogeoecological framework that studies hydraulically connected systems, social sciences are perceiving water as an entity that both shapes and is also shaped by social relations, structures and subjectivities. Hydrogeoecological and hydrosocial approaches are extremely significant to explore how political trajectories influence socio-ecological transformations in shared river basins. 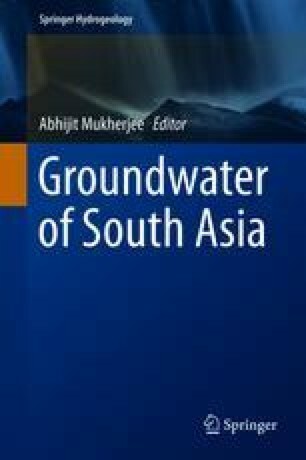 The paper builds upon the Farakka Barrage, one of the most controversial projects affecting Indo-Bangladesh geopolitics, hydrogeoecological regime and hydrosociality as an inductive-empirical case study to justify the need for application of this transdisciplinary knowledge base within the South Asian context.